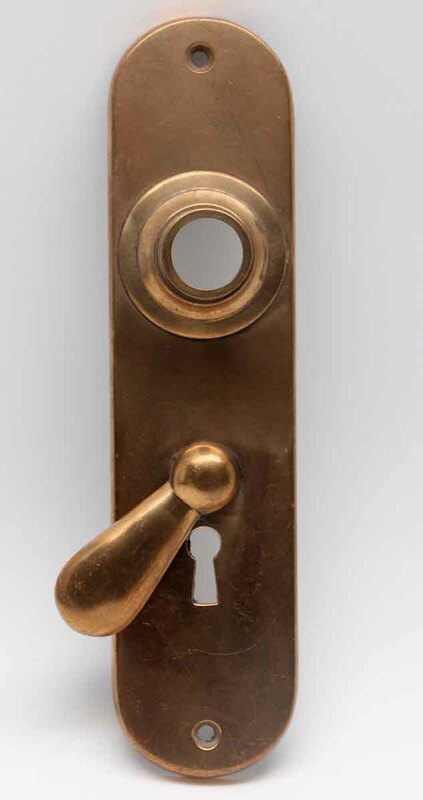 Cast brass back plate with a keyhole and attached keyhole cover. 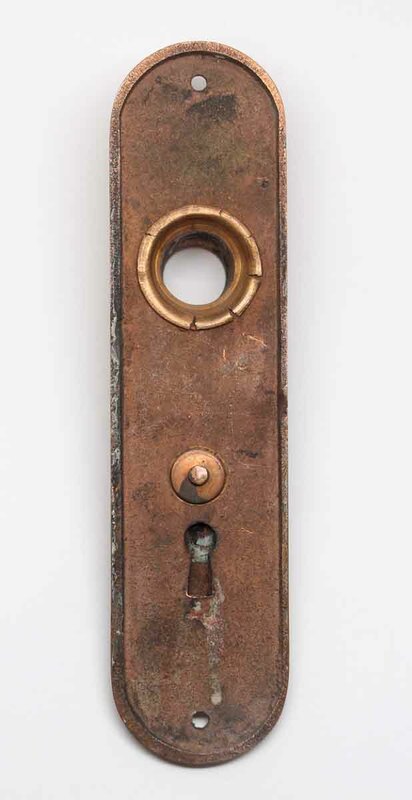 Patinas vary. Priced each.